SCRIPTBAY PRO is a complete, modern, customizable Mini Site that integrates the functions of ScriptBay EPN Script. 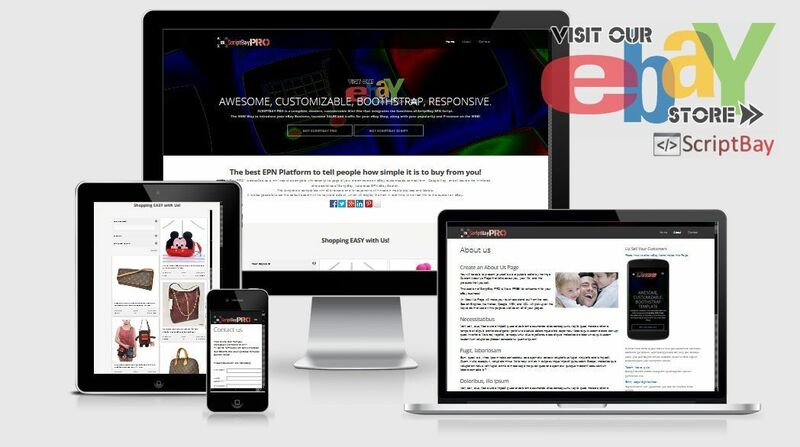 The Best Way for eBay Sellers, to introduce his Business, increase SALES and traffic for Your eBay Shop, along with popularity and Presence on the WEB. ScriptBay PRO is the complete solution, designed for all eBay Seller, who do not have their own website or need to generate new traffic simply and quickly; created in bootstrap and responsive with modern mobile devices and tablets, include about page, contact page and custom 404. ScriptBay PRO is proposed as an modern alternative to the usual, mundane and often ineffective landing pages / splash pages that you see every day on the web. 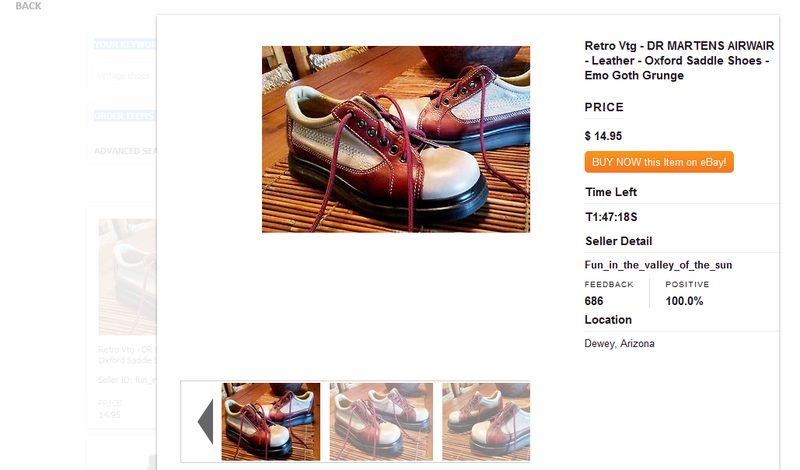 Show your users, in real time, the objects of the Auction on your eBay Shop and increasing substantially any sales. It also provides an excellent and professional store front for your Business, technologically advanced and fully optimized for this purpose. But in what way does ScriptBay PRO increase my earnings? 1 * Incomes from the sale of your items on eBay. You also, can share on Pinterest, Facebook and Twitter your own Items, with your EPN ID’s, and gain tons of traffic! Only 1 file to configure! Please, contact our Support Team ([email protected]) or register to the Support Forum for any problem. SCRIPTBAY PRO is the best eBay Seller Platform to tell people how simple it is to buy from you! The template is compatible with all browsers and is responsive with modern mobile devices and tablets. It is also possible to set the default search with a keyword default, which will display the Item in real-time with direct link to the auction on eBay. It is time to becomes one eBay Seller PRO!